425,000. That is roughly the number of Americans who die each year from coronary heart disease. It is the number one cause of mortality in the United States. 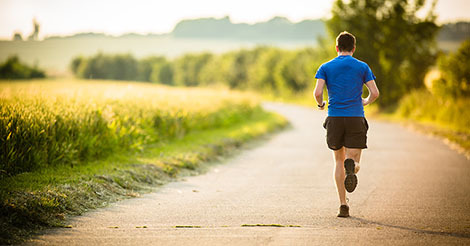 It is well known that exercise can decrease the risk of death of coronary heart disease. But when you hear a doctor or expert on TV say that you need to exercise, do you wonder how much? Researchers at the Harvard School of Public Health recently published a study in the August 16, 2011 issue of Circulation. In the study, Jacob Sattelmair et al. performed a meta-analysis of 33 papers studying the relationship between physical activity and prevention of coronary heart disease. Their aim was to quantify the amount of risk reduction based on amounts of physical activity in which people engage. The 2008 US physical activity guidelines stratified physical activity into two levels. 150 minutes per week of moderate-intensity physical activity is defined as a minimum amount. 300 minutes per week of moderate-intensity physical activity is considered to be an advanced level. The authors found that people who achieved minimum levels of physical activity (150 minutes per week) had a 14% lower risk of coronary heart disease than people who did none. Those individuals who achieved the advanced levels (300 minute per week) had a 20% lower risk. People who went above the advanced guidelines had dose-related increases in risk reduction. People who exercised less than the minimum levels still had lower relative risks than those who did not exercise. The links between exercise and reduction of coronary heart disease risk was stronger among women. I’m presenting this study to you not to argue that you should run or swim or do some other cardiovascular exercise to try to prevent coronary heart disease. I think most readers of this blog accept that fact. I feel this study has value in demonstrating that more exercise is better than the minimum recommended levels. But more importantly, even doing it for short times once or twice a week is better than not doing any at all. So even if you are overweight and out of shape, take a walk. If you suffer from chronic hip or knee pain, get in the pool. Call a friend and decide to become active together. Make a commitment to increase your physical activity, increase your quality of life, and in the process you might decrease your risk of becoming a victim of coronary heart disease. Is the NFL lockout to blame for a spike in injuries?